The Twilight: Breaking Dawn Part 2 collection will hit stores soon for the long-awaited movie release. Time to take a look at some of the highlights! As the world prepares for the end of the Twilight Saga with the November 16 release of Breaking Dawn Part 2, we’re right in the mix as always with the best merch from the movie! Our Breaking Dawn Part 2 collection has never looked better — or fuller — and if this is the end of the saga, it’s just the beginning of Twilight’s legacy as one of the biggest franchises of all time! This Renesmee’s bracelet prop replica is totally accurate to the one Edward and Bella’s daughter has in the movie. We can’t promise it’ll turn you half-vampire if you wear it, but it can’t hurt to try. Bracelet includes metal clasp and charm. 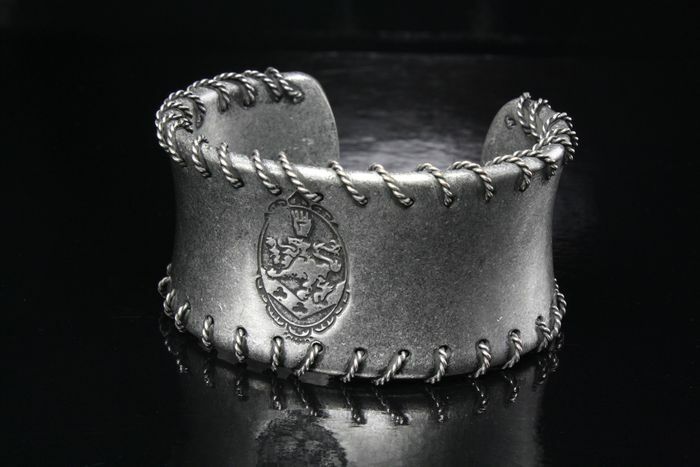 Stylishly designed and intricately detailed, this Cullen Crest Wire Cuff displays the Cullen Family Crest proudly on its front. Also available in a Tribal Tattoo Wire Cuff, for you Team Jacob holdouts. It’s not a prop replica, but something original and special for fans of the series. 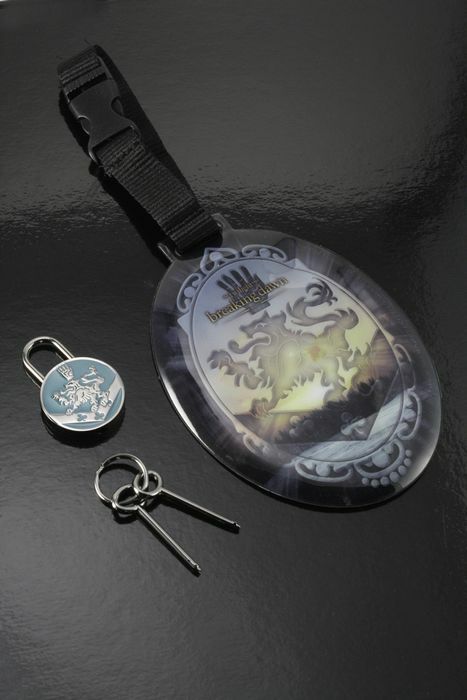 The lock is made of real metal and boasts the Cullen Family crest, and the puff luggage tag features the Cullen crest, the Breaking Dawn Part 2 logo and a horizon background. This Puff Luggage Tag and Small Luggage Lock Set is perfect for the Twilight fanatic on the go! With Lion and Cullen Crest charms, these Breaking Dawn Part 2 Jelly Bangles are a great way to show your love for the Twilight Saga. 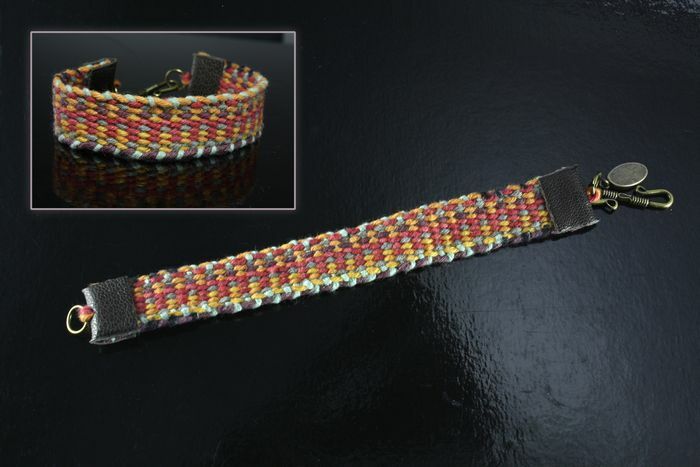 Bracelets are sold as a set and come in a variety of colors. Kind of hard to explain, but easy once you see it. This Breaking Dawn Reversible Crest/Tattoo Necklace features the Cullen Crest on one side and Jacob’s Tattoo on the other. 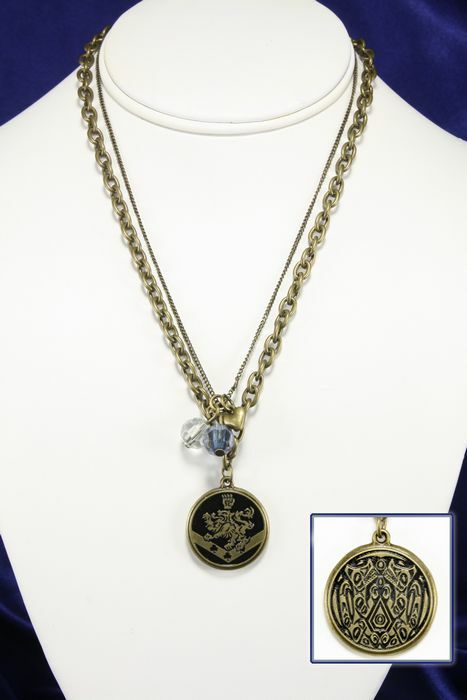 With two chains, it’s the perfect way to embody the two sides at work in the Twilight Saga! There’s a reason why we always focus on the various coffee mugs we make — vicious caffeine addiction. 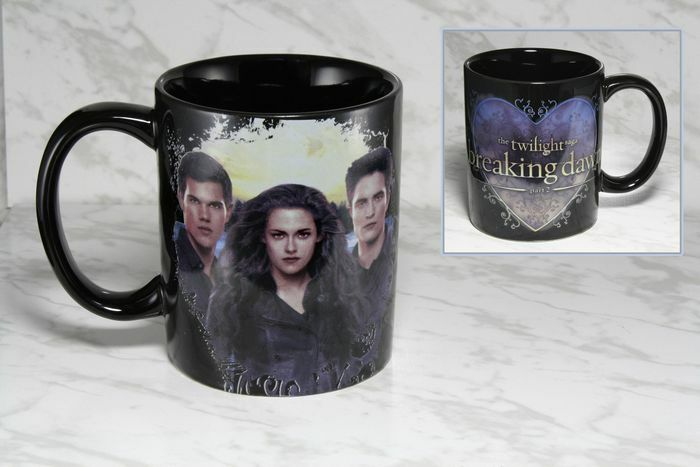 And so we hope you enjoy mugs like this Jacob/Bella/Edward trio design with the heart and Breaking Dawn Part 2 logo on back, because it’s how we wake up in the morning. Part 2 of Part 2 Tomorrow! Check back tomorrow for more of a look at our Breaking Dawn Part 2 fall collection! Let us know what you think about these and all our Twilight Saga products on Facebook, Twitter or G+!